Available In: White, Ivory, Silver, Black, Gold, Natural, Mahogany, Fruitwood. Standard rental fee includes white, ivory or black poly cushion. Bengaline cushions available in an array of colors, addn'l rate of $2.00 ea. 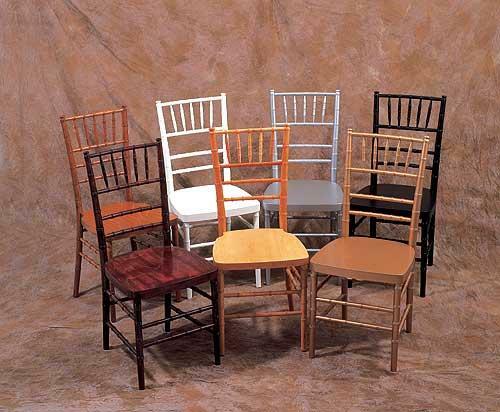 * Please call us with any questions about our chair chiavari rentals in Vineland NJ, Eastern PA, DE, and Northern MD.